A view shows an eagle sculpture on the Federal Reserve building in Washington August 22, 2012. The U.S. Federal Open Market Committee’s next scheduled monetary-policy meeting is scheduled for Jan. 30-31. 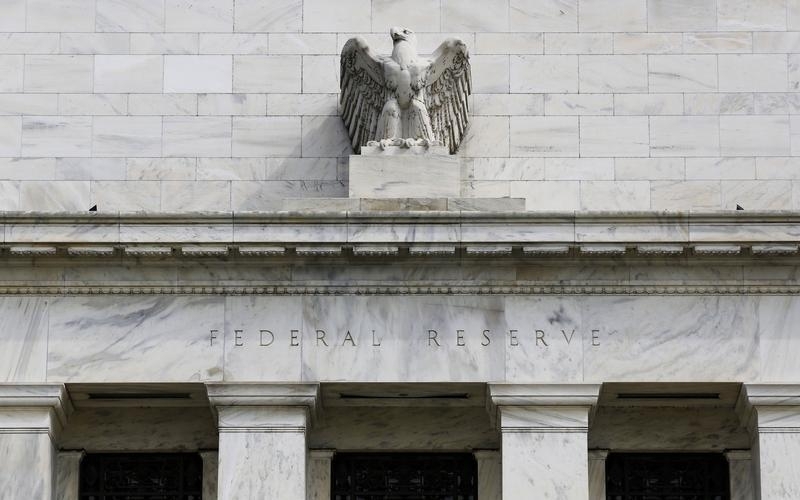 A majority of the Federal Reserve’s 12 district presidents have called for changes or urged study of the central bank’s current regime of targeting 2 percent inflation. That call has gained steam since the Fed’s Oct. 31-Nov. 1 policy meeting, the minutes of which indicate that two members suggested the central bank consider a system in which it committed to allowing higher inflation to make up for periods of low price rises.